On the Mic with Tim Drake: Conan is returning to San Diego Comic-Con! 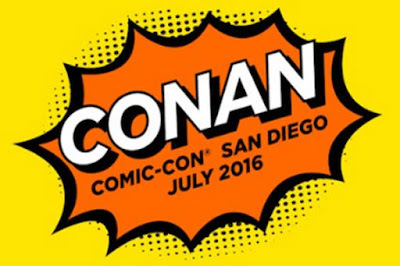 We are excited to hear that Conan is bringing his show back to San Diego Comic-Con for a second year in a row! No details yet on who Conan's guests will be or when tickets will be available, but if you had the chance to attend one of the shows last year, or Conan Bingo, you know these shows are not one that you want to miss! Stay tuned to the website for details as they come available!